You know best what you use your garage for. The obvious uses of car storage are not necessarily it and we know there are many traditional and also many creative uses for your garage. So when thinking of flooring consider all these. Will there be small children crawling around in your garage? Is your garage used as a play room, a man cave or a TV room? Does your garage become an extra bedroom when you have a full house or is it your laundry room? Does it mostly serve as storage or is it your workshop? We could keep going on and on, but again, you know best what your garage will be used for, so weigh in the purpose into your decisions of the materials you choose. But a garage is a garage and there are basics that you must consider as well. It’s usually the part of the house that gets dirty the most, because it’s probably the biggest door in your home and it usually opens up nice and wide. So you want some type of floor you can easily clean and maintain. Garages tend to be darker than most rooms, with no large windows. So you want your floor to enhance the limited lighting, instead of making the garage even darker than it is. Another big consideration is stains and spills. No matter what you intend your garage to be, chances are it will become some kind of storage, workshop or wild play area, so you want a floor the resists all these fun activities your family has planned and all the projects that the garage will host in the future as you all grow up! Don’t forget: your garage adds value to your house. So always keep in mind the option of reselling or renting when making all your garage design choices. Maybe you were planning on carpeting your garage. That’s a vaild choice when you picture it as your comfy TV room or your Man Cave to have all your friends over for all the big games…. Think again! How long do you think your garage will remain such an ideal place? Chances are, as kids grow older and bikes start invading the house and an extra motorcycle or a scooter come home with your young adults after a big paycheck… then your ideal perfect garage hideaway becomes something new, something for everyone. Yes, it becomes a garage… and you’ll regret the carpet then. So think durable, easy maintenance, waterproof, stain resistant, spill friendly flooring… If you think smart from the start you’ll enjoy your garage floor investment for many years no matter what your space becomes! Ready to do you garage flooring? We can help! We work only with the best materials in the market at very affordable prices to help you design a garage that you can make into a reality and enjoy it for a long, long time. 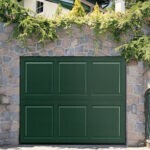 We are more than just garage doors, we do all your garage maintenance and repairs, garage openers and flooring for all types of homes all over Denver. Colorado Overhead Doors is here for you and all your garage needs! Give us a call.